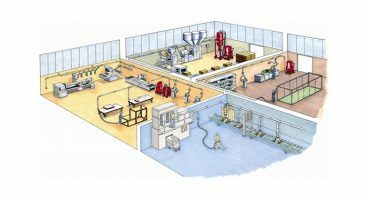 With over 30 years of proven installations, Ruwac will customize your central vacuum system with the correct vacuum producer, filtration unit, collection container and tubing system for your needs. Our professional engineers will help you meet OSHA and NFPA requirements to present a safe working environment for your employees and properly collect the material in question. Every proposal is provided with a CAD drawing of the completed vacuum system layout. Whatever your application, we will work with you to provide a cost-effective solution to your vacuuming needs! Reviewing your housekeeping requirements? Let us assist you with a Needs Assessment Evaluation. The DS4 Series vacuum by Ruwac allows you to experience the ultimate in powerful cleaning and collection. This vacuum is part of the Powerhouse Series, and features all the qualities in strength and versatility that exemplify this line, such as continuous duty clean-up that can be used as a flexible central vacuum system with multiple users. With up to 850 CFM and 30 HP motor ratings, DS4 Series vacuum works great on removing heavier materials. 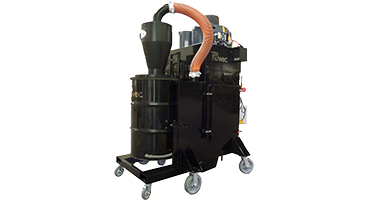 The FA2100 Series central vacuum system by Ruwac provides extreme filtration and continuous duty operation when collecting large quantities of fine dust and hazardous materials. This system is complete with reverse pulse technology, an oversized 520 sq. ft. specialized pleated filter cartridge, a 24 gallon collection capacity, and an NFPA compliant, fully grounded and sealed design to prevent static build up. 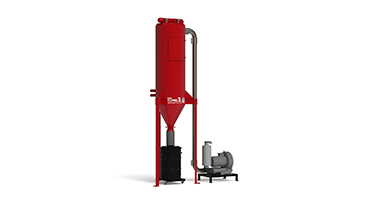 Experience extreme filtration and continuous duty operation with the FA2100 Series silo vacuum by Ruwac! Complete with reverse pulse technology, an oversized 520 sq. 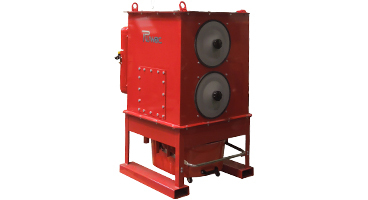 ft. specialized pleated filter cartridge, direct discharge into a 55 gallon drum, and an NFPA compliant, fully grounded and sealed design to prevent static build up, this silo vacuum system is ideal for cleaning up large quantities of fine dust. 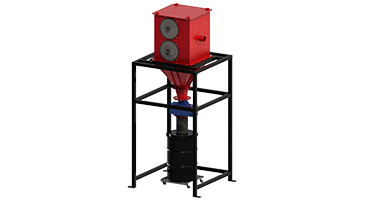 The FA3100 Silo central vacuum system series is Ruwac’s specially designed vertical filtration solution for removing large quantities of fine dust. It features high performance, oversized filtration, and innovative filter technology to ensure a long life and easy operation, backed by the best of features and guarantees in the industry.